The HORSE IDEOLOGY WP blog starts off with the death of my horse Pepper in November of 2007. She was an Appaloosa X who I loved so very dearly and I’m in the process of putting my old blogs about our partnership back up in a new WP format. She died probably of a heart attack after a three month battle with laminitis that resulted due to Cushings Disease (she came to me on New Years weekend 2001 and passed in November 2007). If you need help regarding this disease start here. In December 2007, reeling from Pepper’s death, I made arrangements that one of my former lesson horses, Brego (aka Beautiful Boy in this journal) was returned to his former owner, a college kid that had been forced to sell him about 3 years earlier by parents. 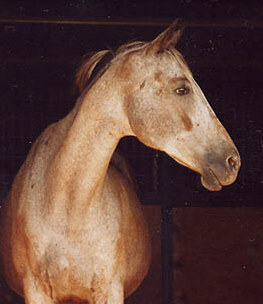 A QH-Arab cross he was a very graceful, dancer-like horse but also easily spooked and flighty. He taught me a lot about clicker training and groundwork. Tristan (aka T-man, Big Guy, Big Boy), an OTTB, was also a former lesson horse and during my time at the hell barn when I was barn manager was about the last time we rode consistently (2010) because of his many health issues: a fractured pelvis that he recovered from (2009), lameness issues and melanomas. Tristan taught me a lot of great things and improved my knowledge of riding quite a bit. He was an over bent horse due to many years prior (before me) being ridden in draw reins, heavy on the forehand due to lesson students, went behind the bit and dropped contact, and had physical issues which made him crooked. He taught me a lot about courage. May he Rest In Peace, running free with his ladylove, Pepper. He was with me from about Feb 2005 to April 2016. In January 2008, I met Z for the first time and decided to buy her. Looking back, this was really a bad decision on my part. Not because she was a baby but because I was still reeling from Pepper’s death. There are a lot of my training challenges with ZZ discussed in this blog, however, readers won’t realize how borderline dangerous she really was. In the spring of 2015, after trying two different trainers and working with a rider, and years spent with her, we decided to have her humanely euthanized rather then risk her aggression seriously injuring someone. 2008-2015. The smartest equine I’ve ever owned is my little mini-pony Dancer (aka Pandora on this blog) that I bought in the Jan 2005 for my horseback riding lesson business. Of my horses she has now been with me the longest. Yet we are living on borrowed time as she is now her 40’s and this last year has grayed so much. As an older pony, the battle continues to be hoof care (she has rotated) and keeping her sound. In October 2012, when we were renting a country place in Missouri, I bought Dulce purely as a companion to Dancer. She is inbred miniature horse that the former owners rescued from a backyard, animal hoarder situation. She is extremely head shy and hard to catch. Dante (originally sold under the name Chance) came into my life June, 2016. The journey continues…. Thanks Terry for visting! I guess you found me through Youtube! You can also subscribe to the blog and it’s probably the easiest way to keep track of me. I’ve got to update this page!